Exclusively for Genesis subscribers, 50 special copies from this week's LA launch celebrations are now available to order. 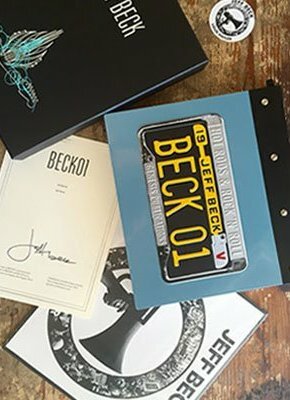 These copies of BECK01 include an autographed book plate from the Mel's Drive-In book signing, a promotional album sticker, as well as a copy of Jeff Beck's new album, Loud Hailer. To claim your event copy, please click here to purchase this wonderful celebration of Jeff Beck, his hot rods, and five decades in rock 'n' roll.